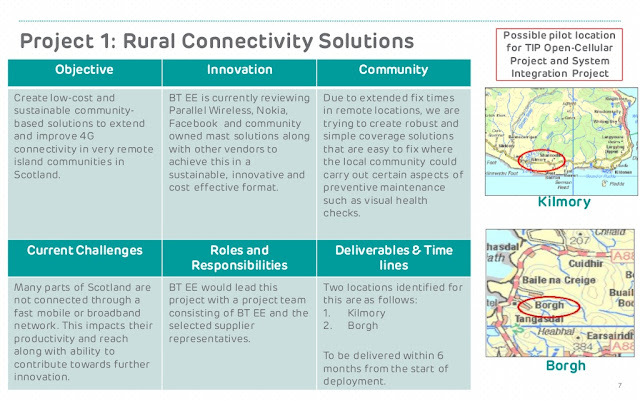 This week EE has finally done a press release on what they term as Airmasts (see my blog post here). Back in Nov. last year, Mansoor Hanif, Director of Converged Networks and Innovation BT/EE gave an excellent presentation on connecting rural Scottish Islands using Airmasts and Droneways at the Facebook TIP Summit. Embedded below are the slides and video from that talk. It is designed to beam LTE coverage from the sky to customers on the ground during disasters or big events. Here’s how it works. The drone we tested carries a small cell and antennas. It’s connected to the ground by a thin tether. 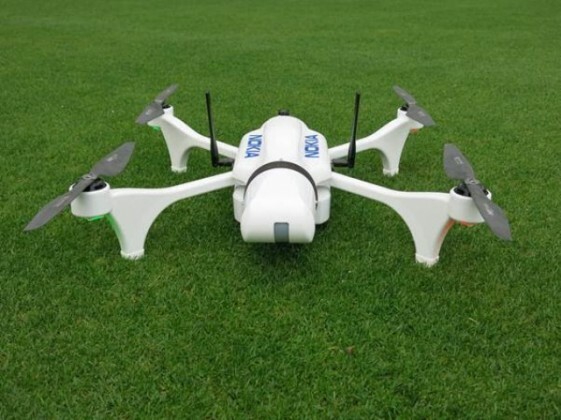 The tether between the drone and the ground provides a highly secure data connection via fiber and supplies power to the Flying COW, which allows for unlimited flight time. The Flying COW then uses satellite to transport texts, calls, and data. The Flying COW can operate in extremely remote areas and where wired or wireless infrastructure is not immediately available. Like any drone that we deploy, pilots will monitor and operate the device during use. 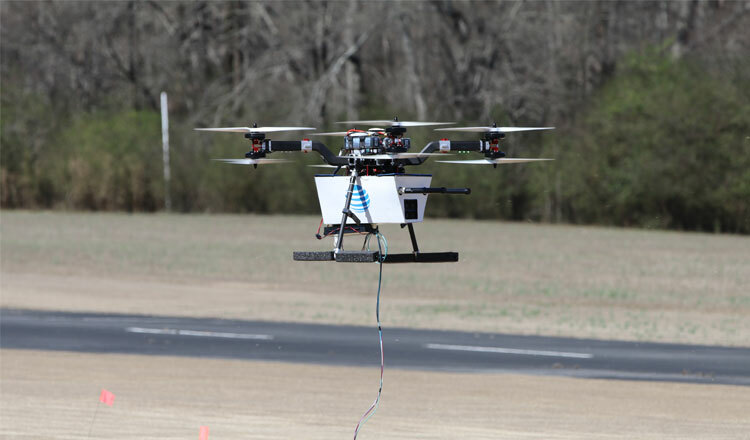 Once airborne, the Flying COW provides LTE coverage from the sky to a designated area on the ground. Compared to a traditional COW, in certain circumstances, a Flying COW can be easier to deploy due to its small size. We expect it to provide coverage to a larger footprint because it can potentially fly at altitudes over 300 feet— about 500% higher than a traditional COW mast. Once operational, the Flying COW could eventually provide coverage to an area up to 40 square miles—about the size of a 100 football fields. We may also deploy multiple Flying COWs to expand the coverage footprint. Nokia's Ultra Compact Network provides a standalone LTE network to quickly re-establish connectivity to various mission-critical applications including video-equipped drones. Drones can stream video and other sensor data in real time from the disaster site to a control center, providing inputs such as exact locations where people are stranded and nature of the difficulty of reaching the locations. What's '5G' in one word for you?